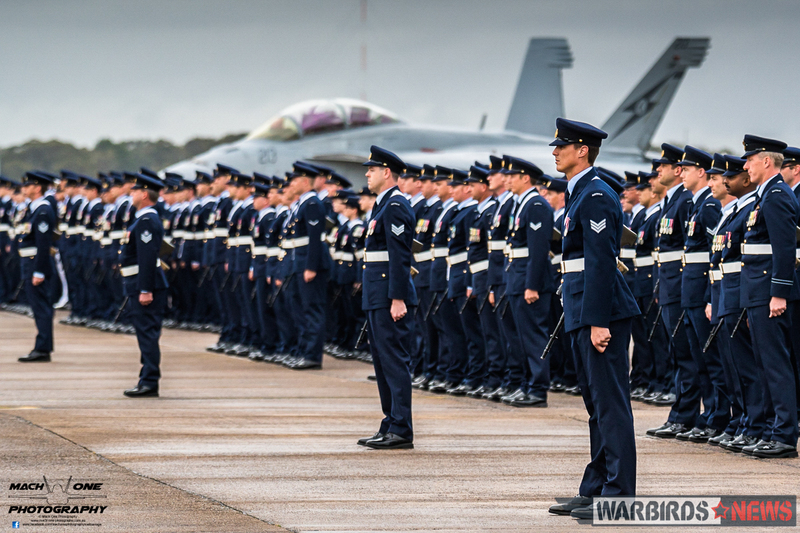 On 28 October 2016, the Royal Australian Air Force marked the Centenary of Australia’s first flying squadrons, Numbers 1, 2, 3 and 4 Squadrons (1916 – 2016) with both ceremony and celebration at RAAF Base Williamtown, New South Wales. 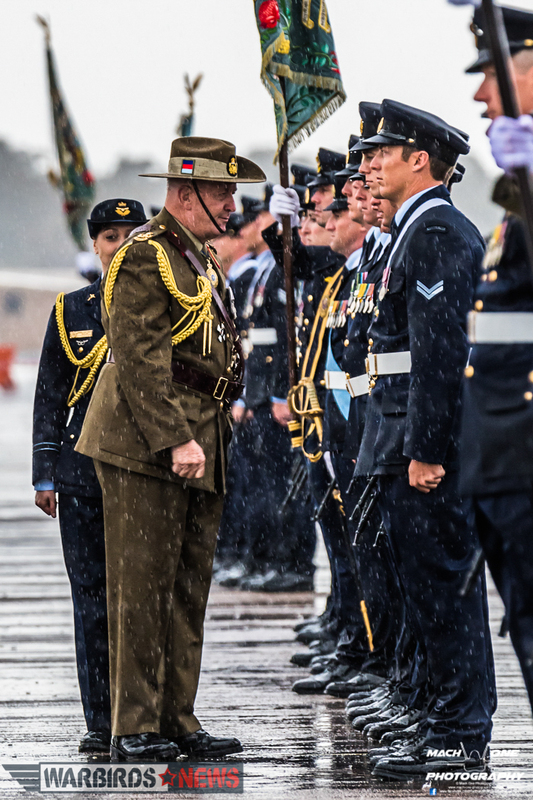 With the theme ‘Celebrating the Centenary of Australia’s First Flying Squadrons’, the official program commenced with a full Colours Parade, reviewed by the Governor-General, His Excellency General the Honourable Sir Peter Cosgrove AK MC (Retd), as Commander-In-Chief. 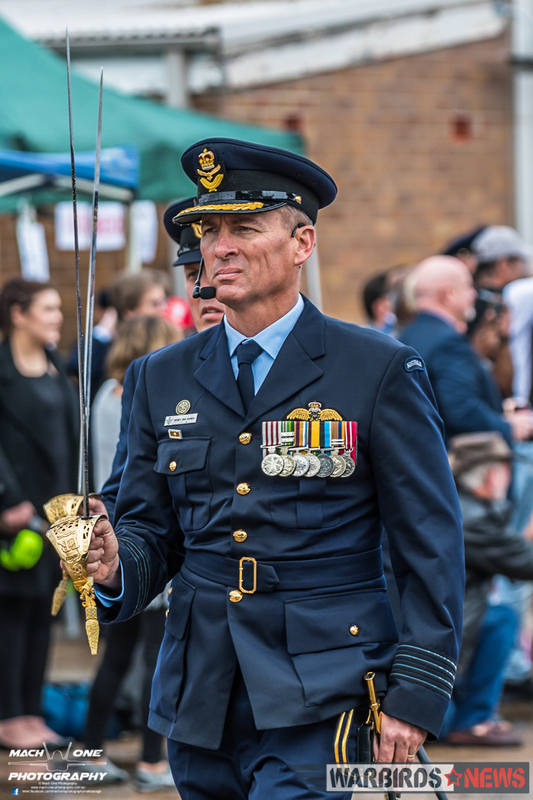 Other distinguished guests included the Chief of Air Force, Air Marshal Gavin “Leo” Davies AO, CSC, Air Commander Australia, Air Vice-Marshal Gavin Turnbull AM, and former Chief of the Air Staff, Air Marshall John “Jake” Newham AC. 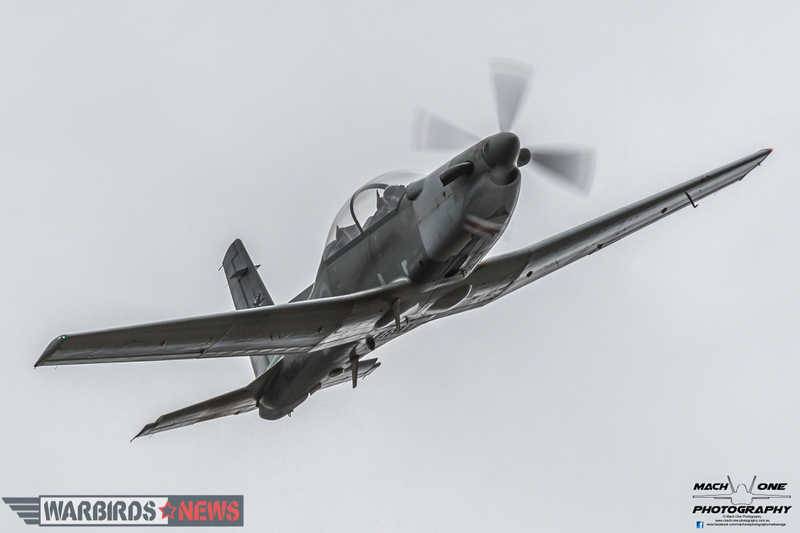 Group Captain van Haren said that whilst the day showcased the innovation and evolution of ‘Air Power’, celebrations centered on currently serving members, veterans and families. “Importantly, Centenary events have brought into focus the dedication, commitment, sacrifice and exemplary service of Army and Air Force personnel past and present highlighting the enduring spirit of mateship, with the opportunity to come together as one, in celebration of a proud history that continues with ongoing operations today,” Group Captain van Haren said. Attending the event were personnel and staff at RAAF Base Williamtown and their families, veterans and their families, as well as a contingent of 1 Squadron personnel from RAAF Base Amberley; making the journey South to Williamtown to join in official Centenary festivities. While the weather did prevent some of the larger formation flypasts, individual flypasts by current types operated by the Air Force aircraft types took place. Following the parade, invited guests and their families enjoyed static displays and a flying program of past and present aircraft, showcasing the Squadrons’ rich history in flying combat operations. No. 1 Squadron was formed under the Australian Flying Corps in 1916 and saw action in the Sinai and Palestine Campaigns during World War I. It flew obsolete Royal Aircraft Factory B.E.2s, B.E.12s, Martinsyde G.100s and G.102s, as well as Airco DH.6s, Bristol Scouts and Nieuport 17s, before re-equipping with the R.E.8 in October 1917 and finally the Bristol Fighter in December. Its commanding officer in 1917–18 was Major Richard Williams, later known as the “Father of the RAAF”. Another notable pilot of the unit was Lawrence Wackett, who later went on to create the Commonwealth Aircraft Corporation. Disbanded in 1919, No. 1 Squadron was re-formed on paper as part of the RAAF in 1922, and re-established as an operational unit three years later. During World War II, the squadron flew Lockheed Hudson bombers in the Malayan and Dutch East Indies campaigns, suffering severe losses before being reduced to cadre in 1942. It was re-formed with Bristol Beauforts the following year, and re-equipped with de Havilland Mosquitos in 1945 for further operations in the Dutch East Indies. Reduced to cadre once more after the war ended, No. 1 Squadron was re-established at Amberley in 1948 as an Avro Lincoln heavy bomber unit. From 1950 to 1958 it was based in Singapore, flying missions during the Malayan Emergency, where it bore the brunt of the Commonwealth air campaign against communist guerillas. When it returned to Australia it re-equipped with English Electric Canberra jet bombers. It operated McDonnell Douglas F-4E Phantoms from 1970 to 1973, as a stop-gap pending delivery of the General Dynamics F-111C swing-wing bomber. The F-111 remained in service for 37 years until replaced by the Super Hornet in 2010. 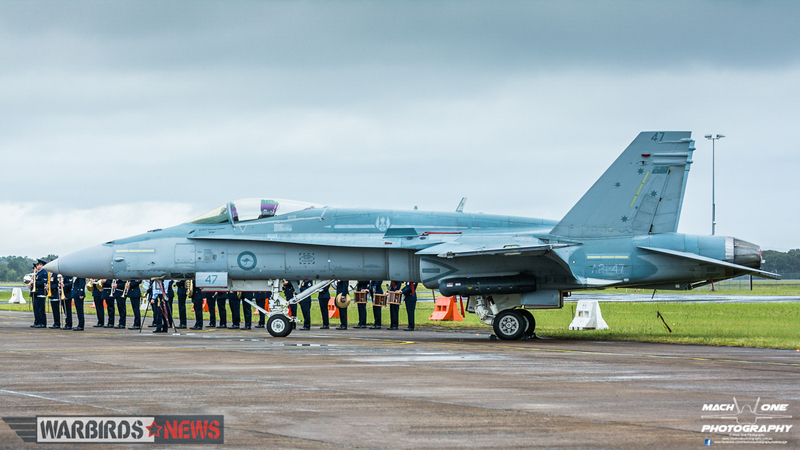 From September 2014 to March 2015, a detachment of Super Hornets was deployed to the Middle East as part of Australia’s contribution to the military intervention against ISIL. Currently, the Squadron is based at RAAF Base Amberley, near Ipswich in south-east Queensland. Controlled by No. 82 Wing, an element of the Air Combat Group, its mission responsibilities include air-to-air and air-to-surface combat and reconnaissance. The squadron is nicknamed the “Fighting First”. The blazon of its crest is “the Australian Kookaburra in a diving position superimposed on the cross of Jerusalem”, which symbolises the Victoria Cross-winning action of No. 1 Squadron pilot Frank McNamara in Palestine during World War I. The unit motto is Videmus Agamus (We seek and we strike). No. 2 Squadron was formed on September 20th, 1916 as part of the Australian Flying Corps in Kantara, Egypt, before being transferred to the Western Front. During World War I, the squadron operated on the Western Front conducting fighter sweeps and ground-attack missions. It was disbanded in mid-1919, following the end of hostilities. 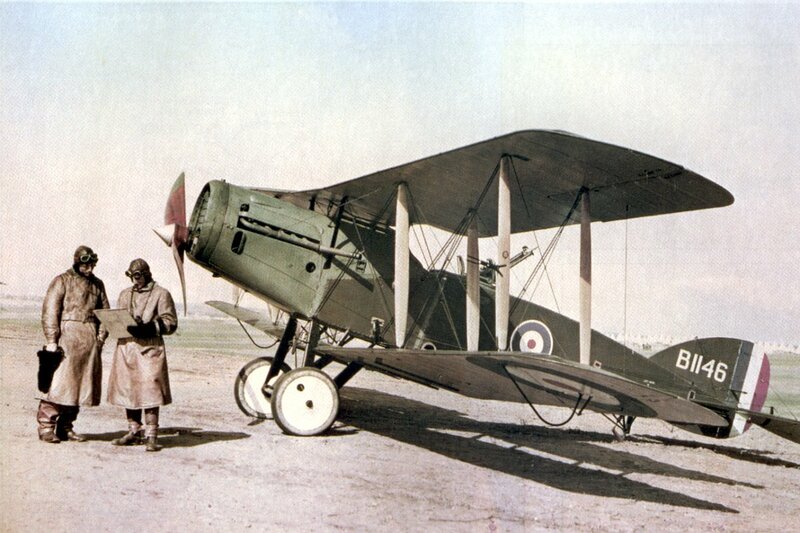 The squadron was briefly re-raised in 1922 as part of the newly independent RAAF, but was disbanded after only a couple of months and not reformed until 1937. It saw action as a bomber unit in the South West Pacific theatre of World War II and, equipped with English Electric Canberra jets, in the Malayan Emergency and the Vietnam War. After the Vietnam War, the squadron returned to Australia and conducted target towing operations in support of the Dassault Mirage III and conducted aerial survey work, supporting the aerial mapping of Australia and other locations including Papua New Guinea, Irian Jaya and the Cocos and Christmas Islands. Eventually, the squadron’s Canberra bombers were retired from service and in late July 1982 the squadron was disbanded. 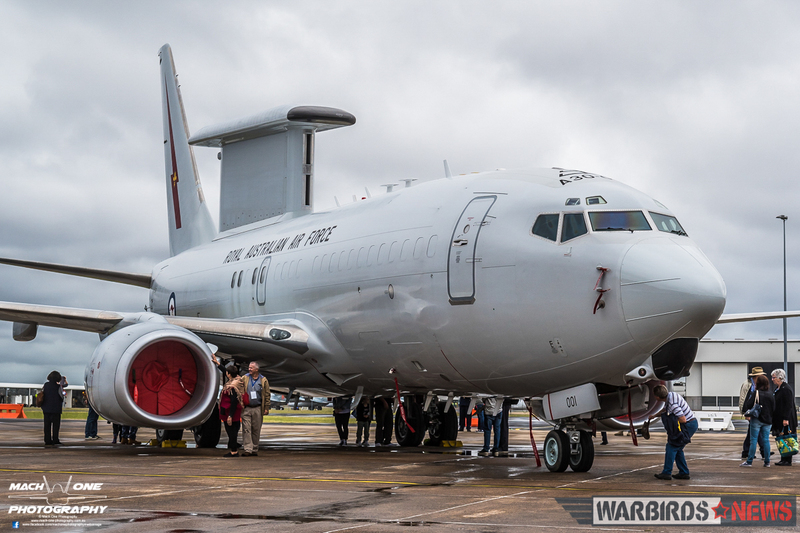 It was re-formed in 2000 to operate the Boeing E-7A Wedgetail. 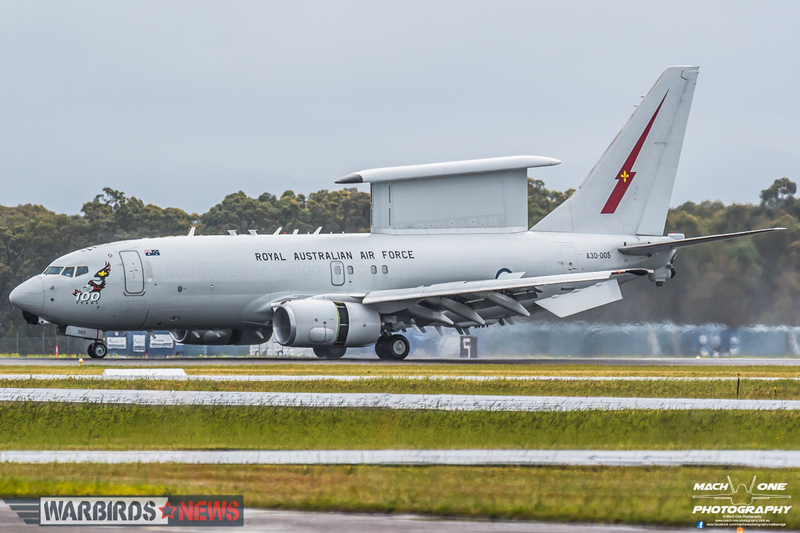 One of the six Boeing E-7A aircraft was deployed to the Middle East in September 2014, as part of Australia’s contribution to the military coalition against ISIS. 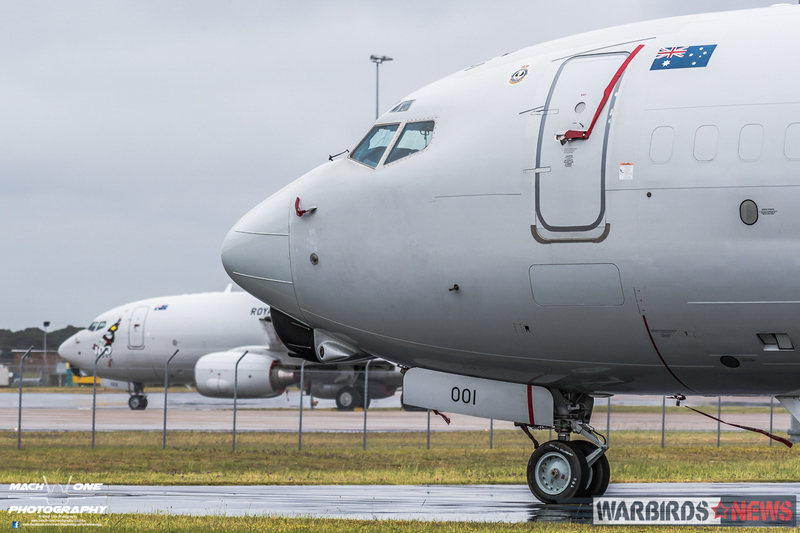 Currently, the Squadron is based at RAAF Base Williamtown, near Newcastle in New South Wales. Controlled by No. 42 Wing, an element of the Surveillance and Response Group, its mission responsibilities include conducting surveillance, air defence, fleet support and force coordination operations in defence of Australian sovereignty and national interests. When required, AEW&C will support civil or military operations through law enforcement, regional co-operation and peacekeeping. The blazon of its crest is the Australian Magpie with wings outstretched, and the unit’s motto is Consilio et manu (To Advise and to Strike). No. 3 Squadron was established at Point Cook, Victoria on September 19, 1916, it was the first of the Australian Flying Corps units to be deployed operationally in 1917, and operated on the Western Front in France in support of I ANZAC Corps in the bombing and reconnaissance role. By the end of the conflict the unit was regarded as the best Allied reconnaissance unit of the war, and reached a tally of 15 aerial victories by the cessation of hostilities. It also played a small but pivotal role in the death of German ace Baron von Richtofen. On 21 April 1918, two of its aircraft on a photographic mission were attacked by four German fighters led by the famous Red Baron. 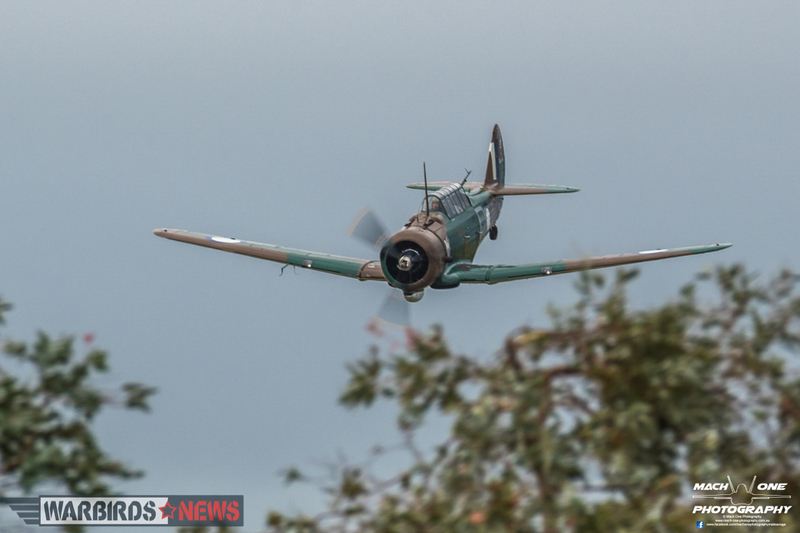 Despite the fact that these German pilots were the elite of the German Air Service, the lumbering Australian reconnaissance machines drove them off. Looking for easier pickings, the Red Baron made the error of descending to low level over the ANZAC front line, where he was shot down and killed. The Red Baron’s body was subsequently recovered by 3 Squadron and buried with full military honours. 3 Squadron held the remains of his crimson red Fokker Dr.1 in custody until they could be handed over to the authorities. Several components from the Red Baron’s aircraft are now on display at the RAAF Museum. After being disbanded in 1919, it was re-raised as a permanent squadron of the RAAF in 1925, and during World War II operated in the Mediterranean Theatre with a variety of aircraft types, including the Curtiss P-40 and the North American P-51 Mustang. The unit is the highest-scoring Australian squadron from all conflicts, amassing 217.5 aerial victories during World War II. 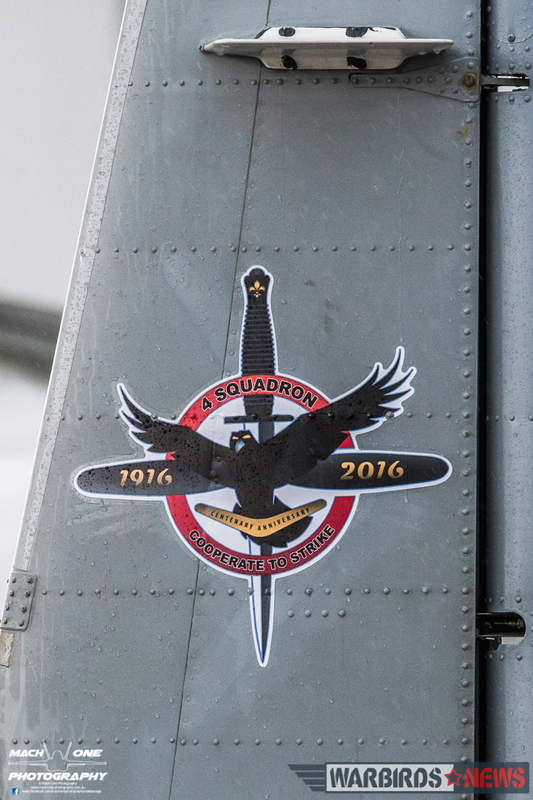 The Cold War years saw the squadron disbanded and re-raised twice. It was based at RAAF Butterworth operating the CAC Sabre during the Malayan Emergency, the Indonesian Konfrontasi, and with the Dassault Mirage IIIO during the latter years of the Vietnam War. Equipped with McDonnell Douglas F/A-18 Hornet multi-role fighters from 1986, the squadron deployed to Diego Garcia in 2002 to provide local air defence, and the following year contributed aircraft and crews to the invasion of Iraq as part of Operation Falconer. In April 2016, it deployed to the Middle East as part of the military intervention against ISIL. Currently, the Squadron is based at RAAF Williamtown. Controlled by No. 81 Wing, an element of the Air Combat Group, it is tasked in the Offensive Counter Air and Defensive Counter Air roles, and are known as the “Fast Flying Fighting Third”. Their unit crest is emblazoned with a flaming bomb with wings and fleur-de-lis, and the units motto is ‘Operta Aperta’, Latin for ‘Secrets Revealed’. In 2018 they will become the first combat unit of the RAAF to receive the Lockheed F-35A Lightning II, and are expected to become operational around 2021. No. 4 Squadron was established as a unit of the Australian Flying Corps (AFC) at Point Cook, Victoria, on 16 October 1916. The unit flew alongside 2 Squadron AFC and British units on the Western Front until the armistice in November 1918. The unit was the highest-scoring Australian squadron of the war, with 199 enemy aircraft destroyed. In addition, 33 enemy balloons were destroyed or driven down. It was disbanded after the war in mid-1919, but re-formed in 1937 and 1940. In 1942 it deployed to New Guinea, where it supported military forces by spotting for artillery and providing reconnaissance and close air support. In early 1943, the Squadron flew what is regarded as the first Forward Air Control mission, providing assistance to 30 Squadron RAAF Beaufighters striking Japanese targets in New Guinea. 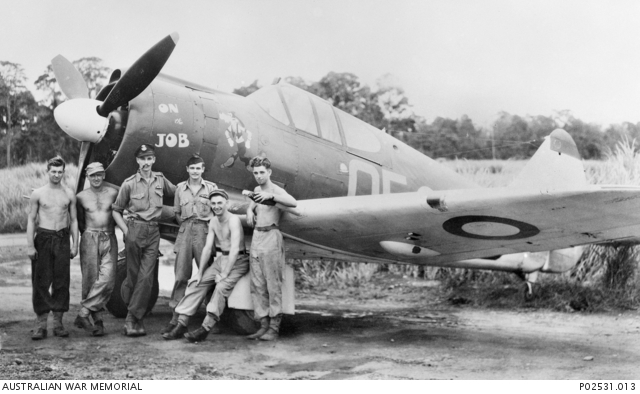 As the war progressed, the squadron took part in the Huon Peninsula, New Britain and Borneo campaigns. The unit was disbanded in early 1948, but would be re-formed over 60 years later, on 2 July 2009, to provide training to forward air controllers and to support Army Special Operations Command. 4 Squadron is based at RAAF Williamtown. Controlled by No. 82 Wing, an element of the Air Combat Group, the unit is composed of air force special forces Combat Controllers, aircrew who operate the Pilatus PC-9A(F) (Forward Air Control variant) aircraft and instructors for the Australian Defence Force Joint Terminal Attack Controller (JTAC) course. The unit crest is emblazoned with a Boomerang with fleur-de-lis overlaid, and their motto is ‘Cooperate to Strike’. 1. 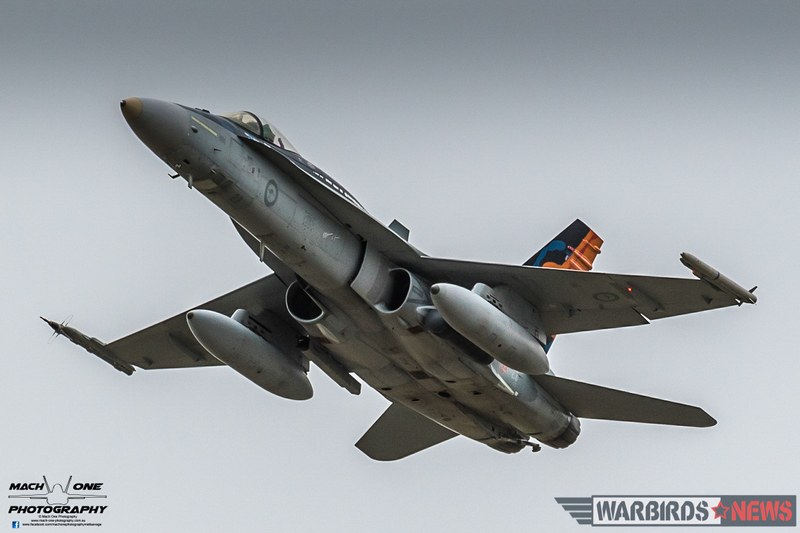 Boeing F/A-18F Rhino A44-213, operated by 1 Squadron RAAF. 2. 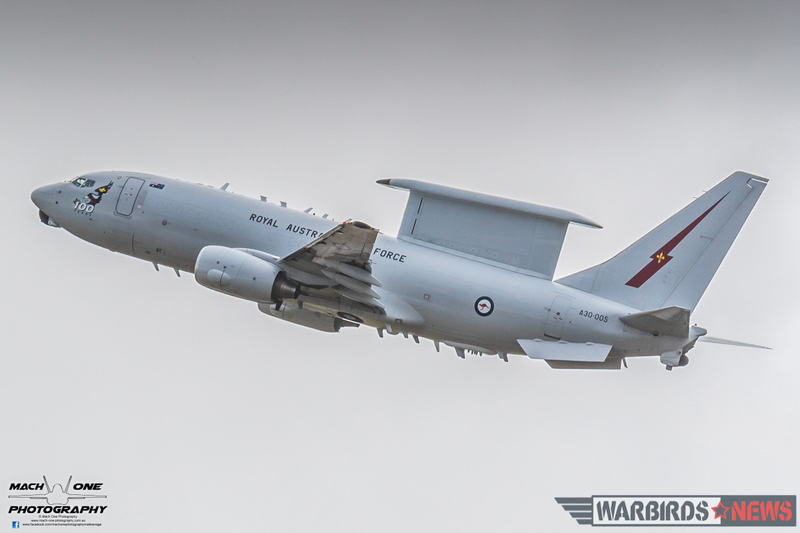 Boeing E-7A Wedgetail A30-001, operated by 2 Squadron RAAF. 3. 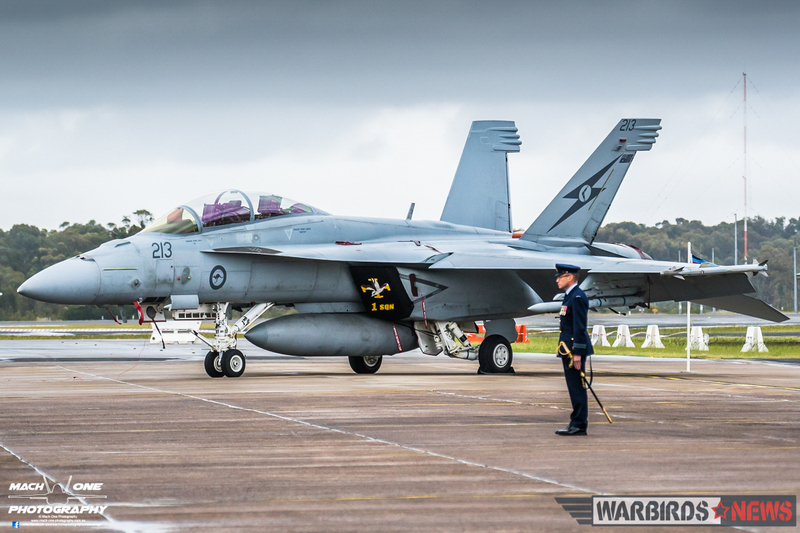 Boeing F/A-18A Hornet A21-47, operated by 3 Squadron RAAF. 4. 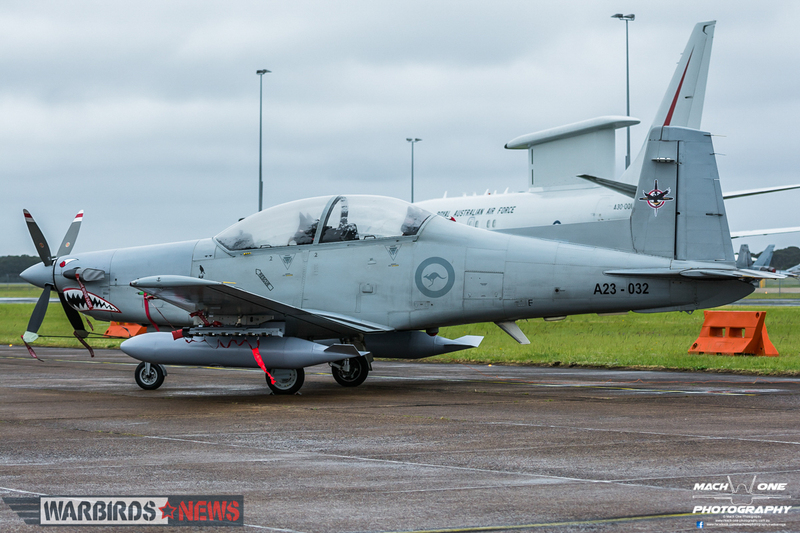 Pilatus PC-9/A(F) A23-032, operated by 4 Squadron RAAF. In addition to these static aircraft a comprehensive flying display was made by all units after the parade, save for 2 Squadron. They flying was kicked off Paul Bennet, who brought his Commonwealth CA-3 Wirraway across from his Maitland, NSW operating base for an impressive aerobatics sequence. Paul’s Wirraway is painted in 4 Squadron markings. (It was a 4 Squadron aircraft that scored the only aerial victory by the Wirraway during WW2, on a Japanese Ki-43 fighter.) 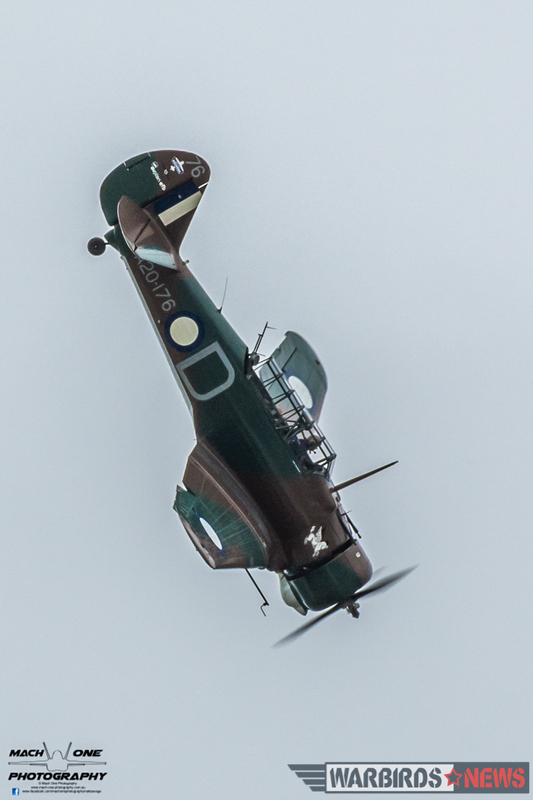 It was intended that several other warbirds from Temora Aviation Museum and the Old Aeroplane Company would be in attendance on the day, but several factors prevented these aircraft from making it. 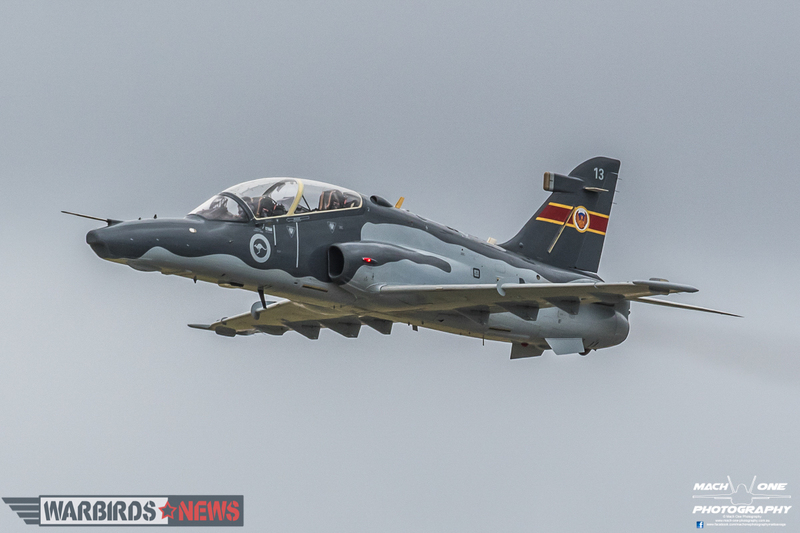 Following on from the Wirraway, a BAE Systems Hawk 127, operated by 76 Squadron flew a dynamic handing display with lots of tight manoeuvring due to the low cloud base. 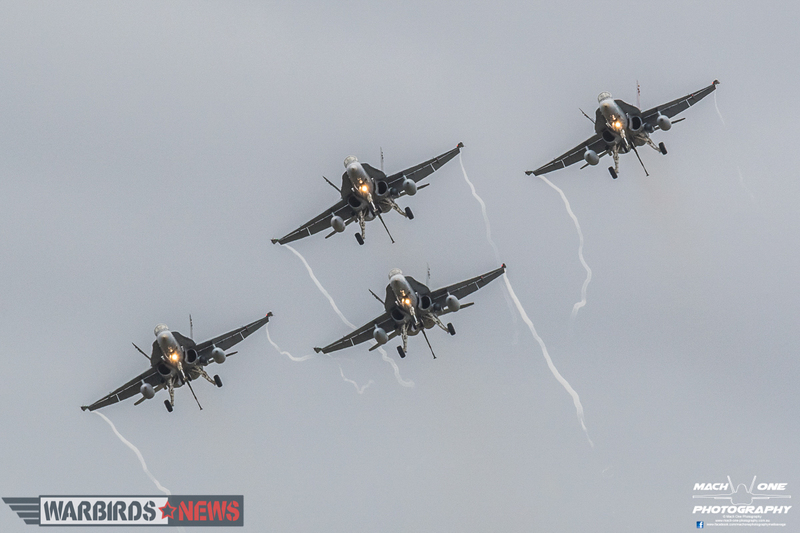 A four-ship ‘classic’ Hornet display was the flown by the 3 Squadron display team ‘Purple Cobras’. A very impressive sight to see at low level! 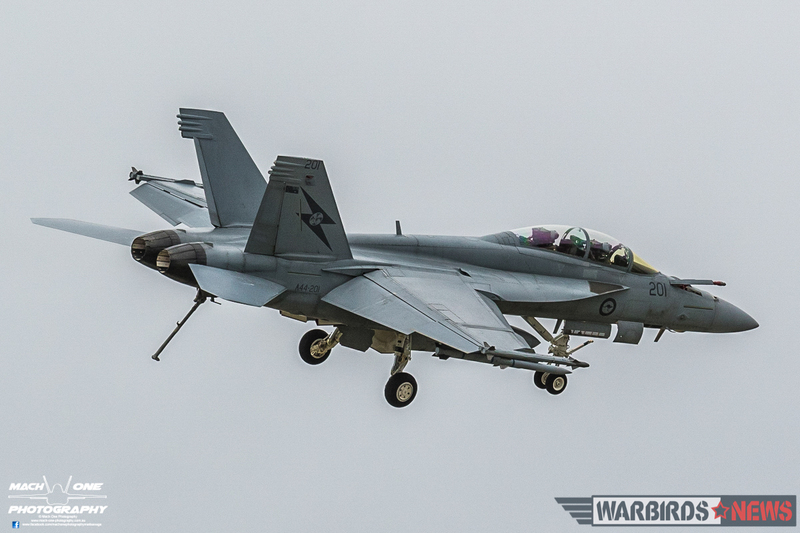 Not to be outdone, 1 Squadron flew a very “loud and proud” sequence with their current steed, the Boeing F/A-18F Rhino. Lastly, a Combat Search and Rescue (CSAR) demonstration was flown by 4 Squadron in their Pilatus PC-9/A(F). To end the display, the 3 Squadron four-ship formation suppressed the enemy ground forces long enough for the RAAF Rescue Sikorsky S-76 helicopter to sneak in and rescue the ‘downed aviator’. A successful mission outcome, with all returning home in time for “Tea and Medals”! 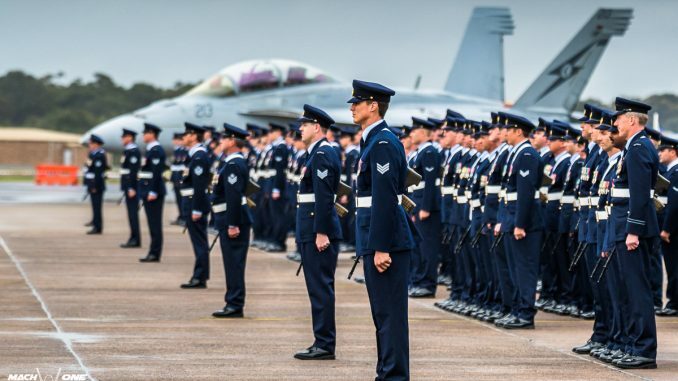 The author wishes to thank the RAAF for the opportunity to record the 100th anniversary celebrations of the four units, and in particular to Wing Commander Susan Yates and Flying Officer Brooke Marshall from Defence Media at RAAF Williamtown for their assistance on the day. WarbirdsNews wishes to thank Matt Savage for this article and the many beautiful photographs within. 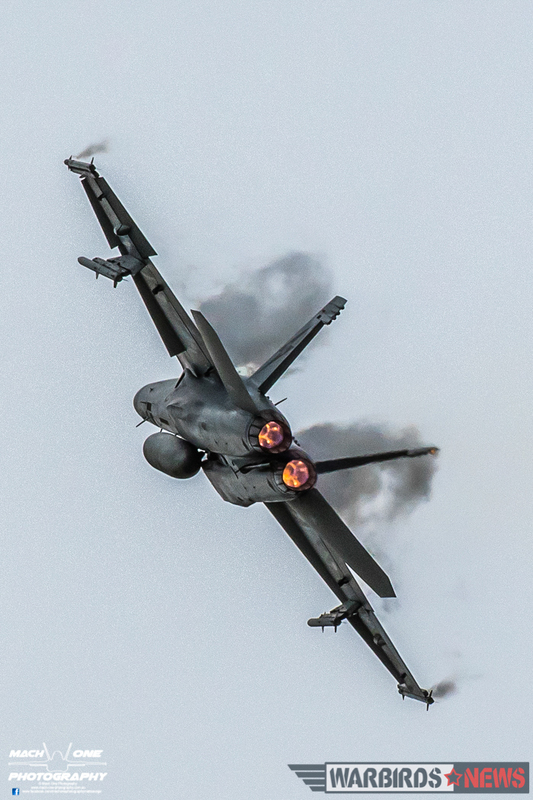 If anyone wishes to see more of his aviation photography, please visit his website HERE.